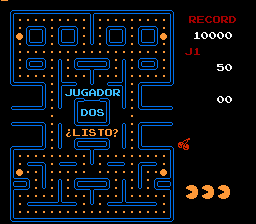 Round yellow guy with a big mouth runs into a labyrinth eating small pills while dodging ghosts. Eats big pills to eat ghosts. Eat all small pills to get to next level. Eat fruits and sweets to get extra points for easier extra life. 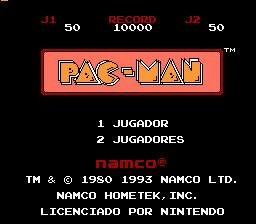 YES, this is the classic and only Pac Man that everybody knows. 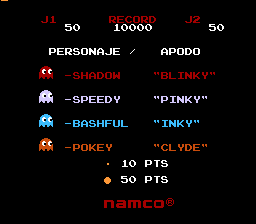 Full Spanish Pac-Man NES translation. Enjoy!